Over 350 employers converged on Springfield Wednesday for Business Day 2018 co-hosted by IRMA and the Illinois Manufacturers’ Association. 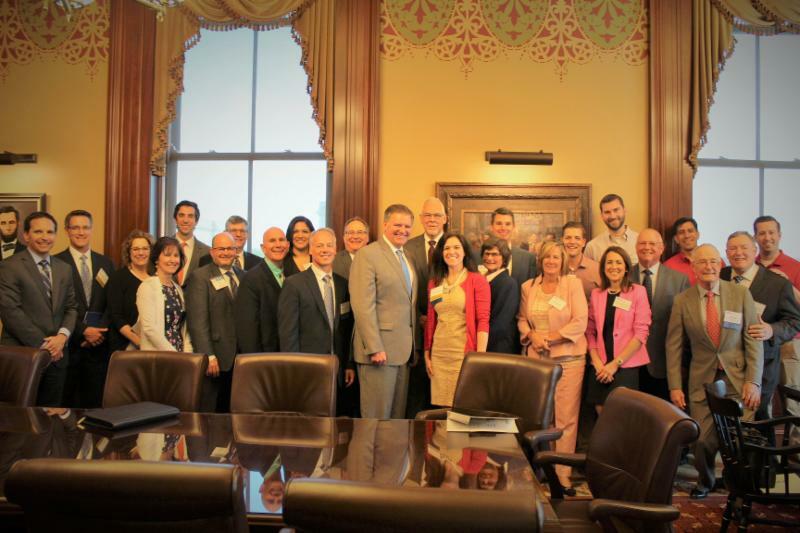 These employers from throughout Illinois were eager to share their concerns over the direction of the state and the future of employment in Illinois directly with policymakers on both sides of the aisle. This year, the opening luncheon featured Jim VandeHei, the founder and CEO of Axios and the founder of POLITICO. Mr. VandeHei argued that with the exception of the bluster and seemingly perpetual crisis that pervades the White House, the accomplishments of the Trump Administration to-date are not small and not outside what would be expected from a more traditional Republican nominee. VandeHei particularly focused on the way President Trump uses social media to end-run main-line media and actually control their narrative. He also noted that voters on both sides of the political divide are getting the politics they desire as everyone consistently isolates themselves and seek only opinions that affirm their opinions. He noted that of the 20 top stores shared on Facebook last year, 19 were fake and 60% forwarded stories without even reading them. The way Facebook is designed, it reinforces how we use it meaning Facebook users wound up with even more content that simply reinforced opinions. Mr. VandeHei does not believe President Trump acts without thinking. In fact Mr. VandeHei explains that Trump is quite adept at manipulating the media. He explained that Trump uses a very specific formula for manipulating the media and hijacking the Twitter/cable/conventional media industrial complex. Trump sets this formulaic trap increasingly often and news organizations keep falling for it. In the end, they are talking about him and keeping his base active as reflected consistently in polling. 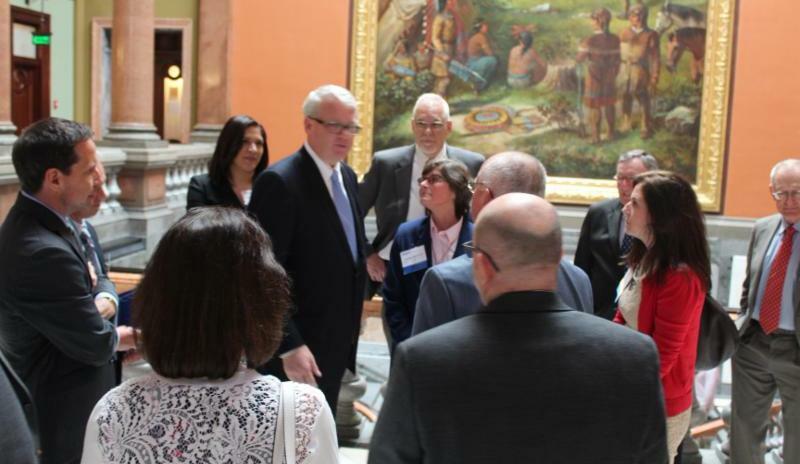 After the luncheon, attendees made their way to an afternoon at the Statehouse to share insights on specific issues with legislators. 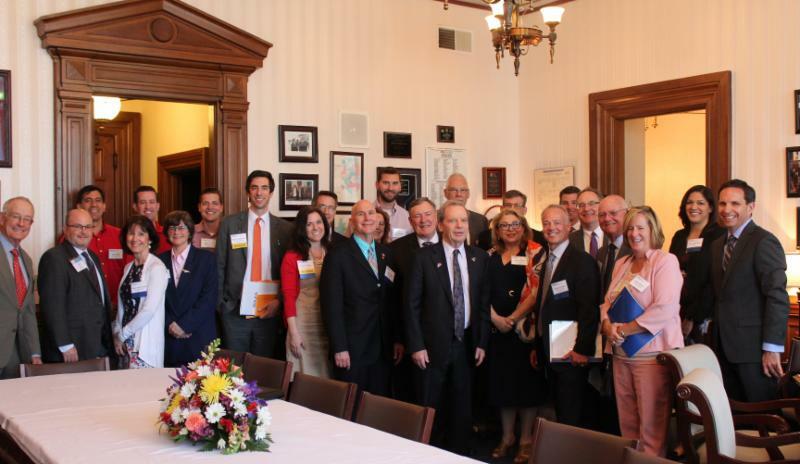 Members of IRMA’s Board met with three of the legislative leaders and Governor Bruce Rauner. Each shared their insight into the ongoing budget and reform impasse in addition to hearing concerns of attendees. 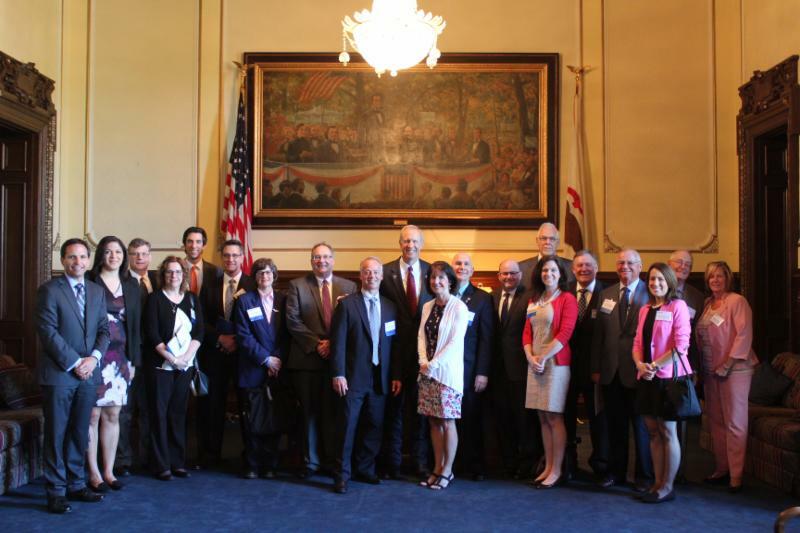 IRMA would like to thank Governor Bruce Rauner, Senate President John Cullerton, Senate Republican Leader Bill Brady and House Republican Leader Jim Durkin for their time and insights. The day ended with the themed Party Under the Tent where policy makers, staff, and employers mixed in a casual atmosphere enjoying the many food and drink offerings provided by IRMA members and the outstanding live band covering an array of 80’s and 90’s hit songs. IRMA would like to thank the co-hosts, sponsors, and reception caterers who made Business Day 2018 possible and an outstanding success. A second subject matter hearing on the restrictive scheduling mandate was held this week in a joint House and Senate Labor and Commerce Committee. A subject matter hearing was already held in the House in April. As introduced, HB 5046 (Rep. Chris Welch, D-Westchester) and SB 202 Floor Amendment #1 (Sen. Cristina Castro, D-Elgin) would, among other provisions, require a 72-hour notice of an employee’s weekly schedule and would impose statutory penalties if any part of the employee’s schedule is reduced or canceled after the notice. It applies to part time, full time, non-salaried, and salaried employees. Over 40 different employer sectors which include but are not limited to, retail, agriculture, accounting, manufacturing, energy, security, education, automotive, distribution, construction, hospitality, law enforcement, et., all oppose a restrictive scheduling mandate that negatively impacts employers and employees. Restrictive scheduling assumes that every employer can schedule or operate in the exact same manner and that every employee wants the same schedule. Different employers have unique business, employee, and regulatory variables to consider when providing schedules that promote and support their employees while still allowing the business providing the jobs to operate effectively and efficiently. These proposals undermine the ability of each employer to properly manage their business and support the various flexibility preferences of employees. The issue will certainly re-emerge in November or next year.